And so proceeded the conversation between two second graders at Vail Mountain School about that hidden elemental part of the plant. Despite the chilly November afternoon that existed outside, this exchange occured in a warm sunny greenhouse attached to the school. Instead of seeing a pictures in a textbook, these second graders were picking them apart, working together to gently loosen (an interesting collaborative process) the root ball of a sweet pea plant, ready for transplant in their year-round school garden. This is just a small part of their hands-on science cirruculum that takes place in the greenhouse, and develops over the course of the year. 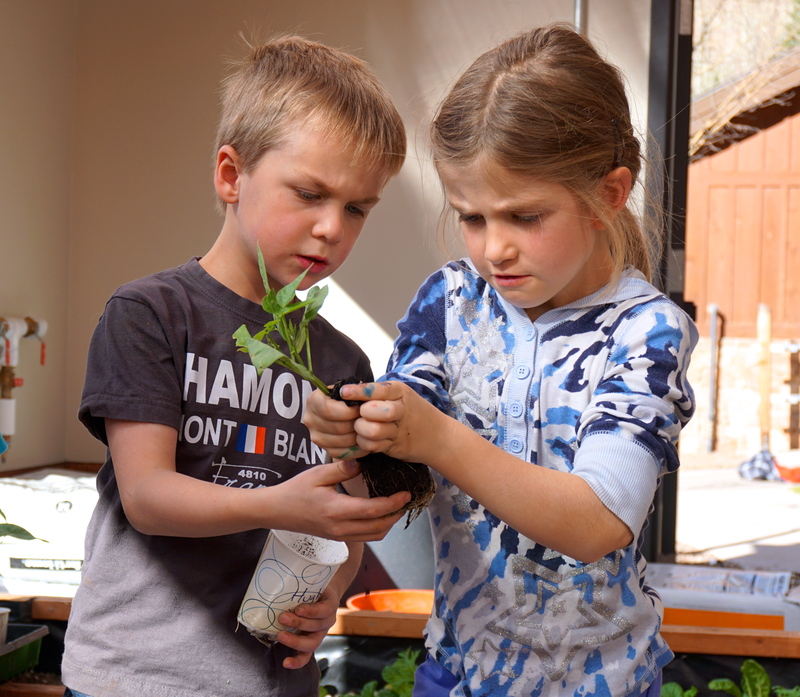 It’s become very apparent how gardening can improve kids lives both in and out of the classroom. Gardening is correlated with healthier eating and lower rates of stress and obesity. It improves academic scores, because students learn better when they can engage in a process rather than just see and hear about it, particularly in math and science. 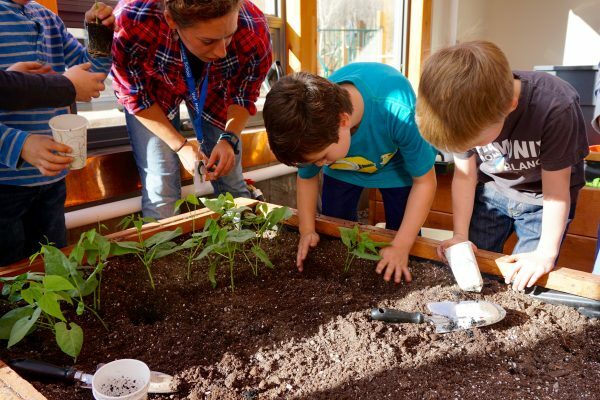 Outdoor learning gardens are a great step to furthering kids access to gardening and food, but they’re also greatly limited. First, they’re seasonal. 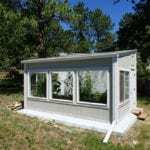 For 2/3 of the year in most of the US, gardens aren’t growing. They’re frosted over, unused, and life-less. Kids are back inside and school proceeds as it always has – green-less. Secondly, a standard learning garden teaches wonderful things about the processes of plants, soil and growing, but it’s teaching ability usually ends there. 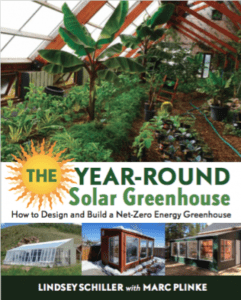 Again, a wonderful first step, but what if a gardening system not only could teach about plants and gardening, but a whole host of topics like heat transfer, the mechanics of bell siphons, fish biology or sustainable energy? 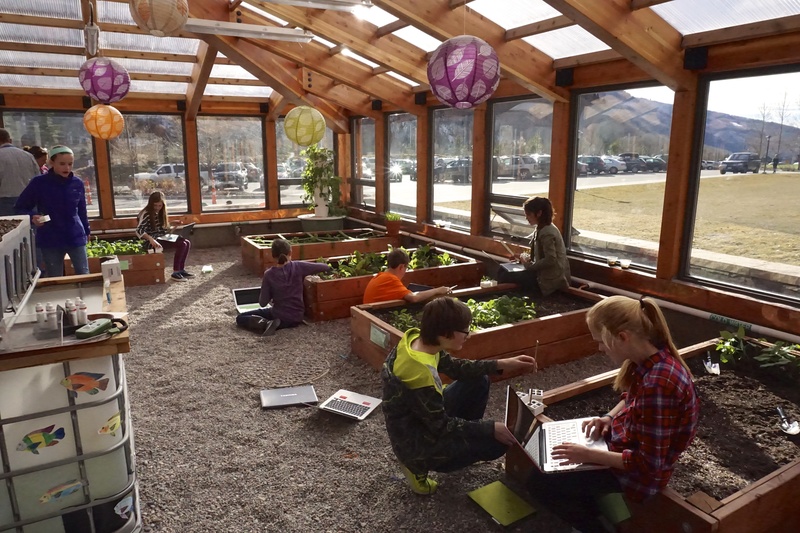 Two trends are giving new meaning to the term ‘learning garden’. 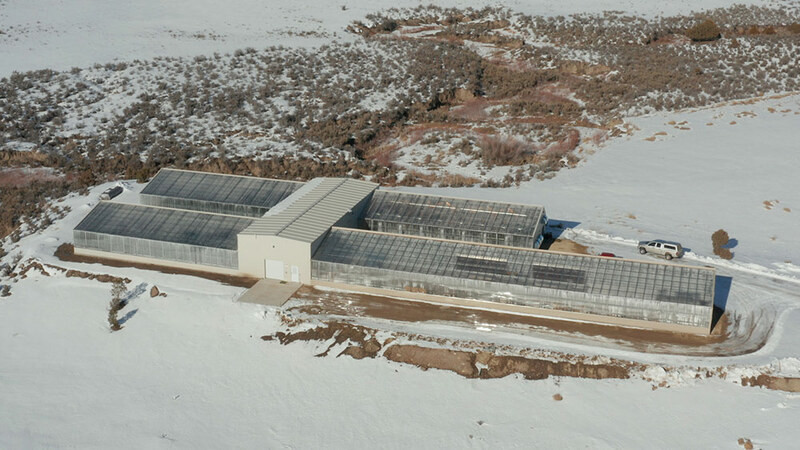 First, schools are incorporating solar greenhouses to allow for year-round growing. 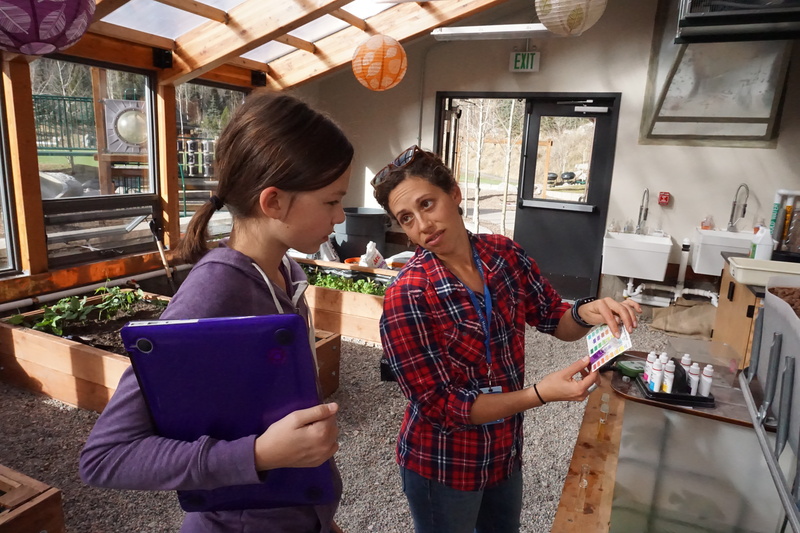 At the Vail Mountain School (VMS) in Vail CO, every week seven classes learn a myriad of topics from the greenhouse and it’s systems. Third graders are learning about symbiotic planting; 7th graders are measuring the effects of different variables on seedlings’ growth; and 9th graders are monitoring the pH of the water in an aquaponics system. 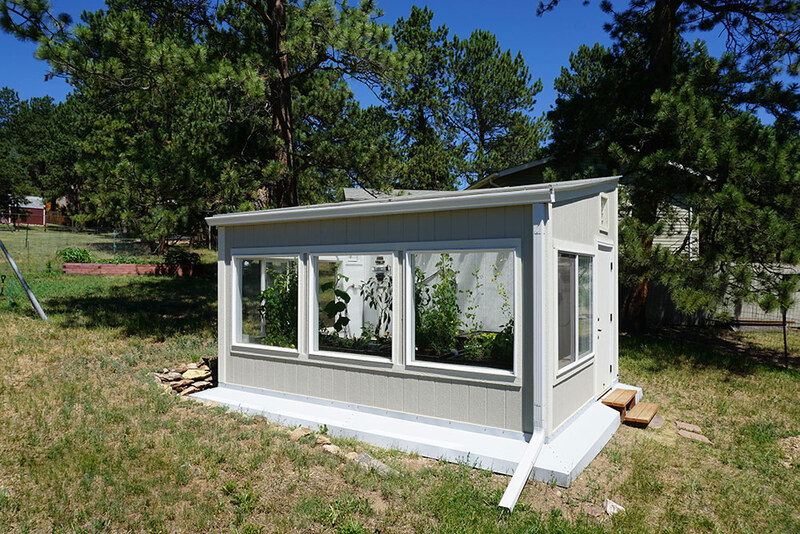 Beyond gardening, the greenhouse structure itself is a teaching tool. 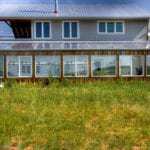 By creating an energy-efficient, sustainable greenhouse that relies on the natural heating powers of the sun and thermal mass, a greenhouse is much more than four walls and a roof. 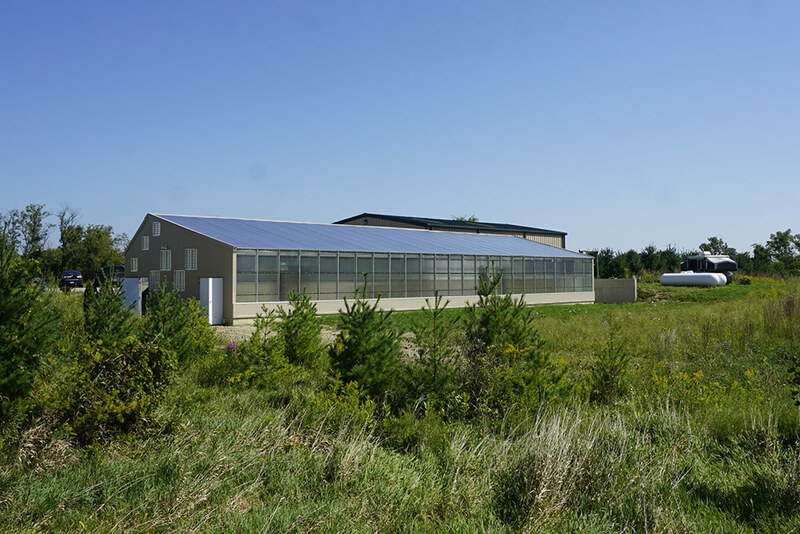 The VMS greenhouse, for example, utilizes passive solar design and a Ground to Air Heat Transfer system (also known as a climate battery) which uses the soil underground to store solar thermal energy for natural heating and cooling. 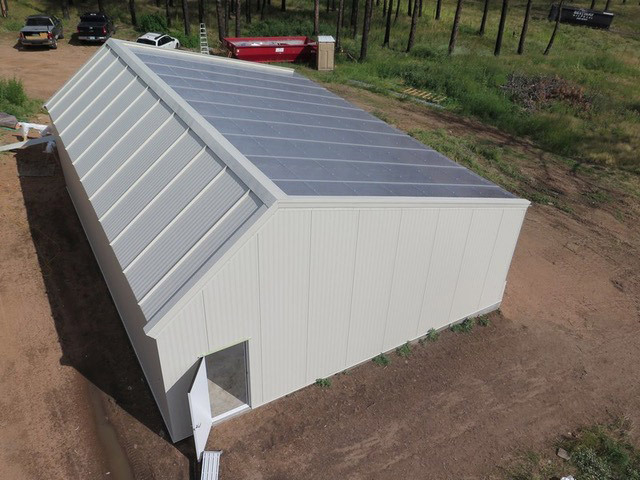 Besides a little electricity for running fans, the solar greenhouse provides it’s own heating and cooling without any fossil fuels. 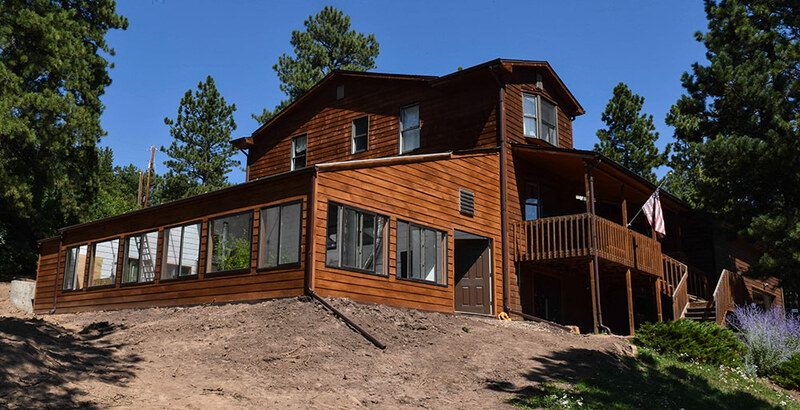 Using energy-efficient design opens up a whole new array of math and science topics. Suddenly there are hands on learning opportunities for topics like energy transfer, solar radiation, sun angles and thermal mass. 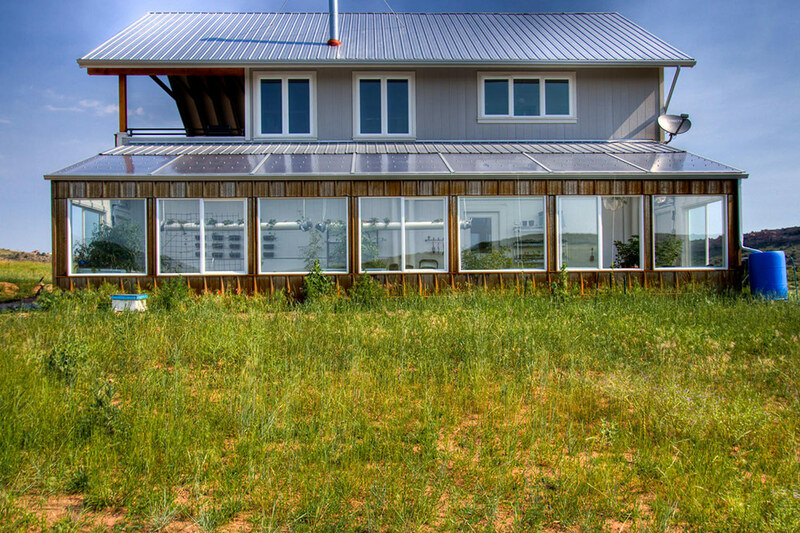 Students are exposed to passive solar heating and green building design. 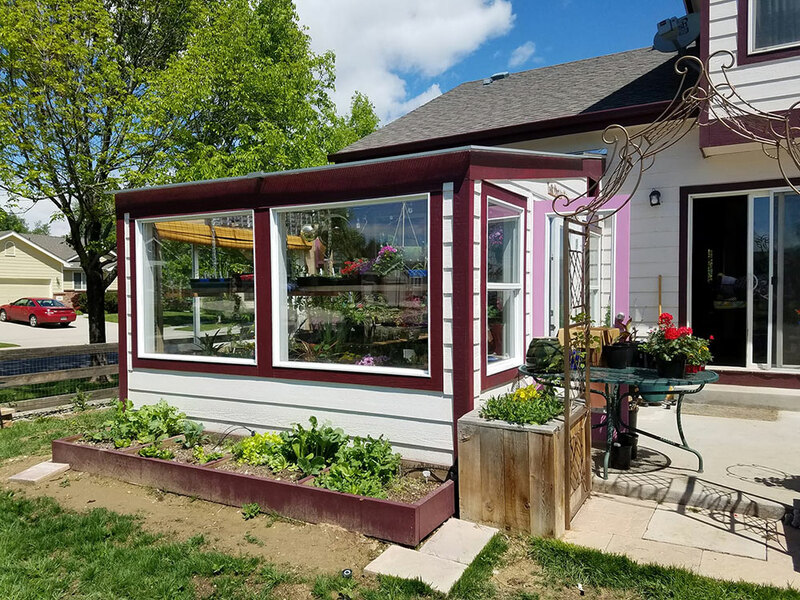 What used to be confined to equations on paper is now a visual, tangible experience that can be observed and measured through a host of processes occurring in a dynamic environment – a multi-functional, year-round gardening classroom. 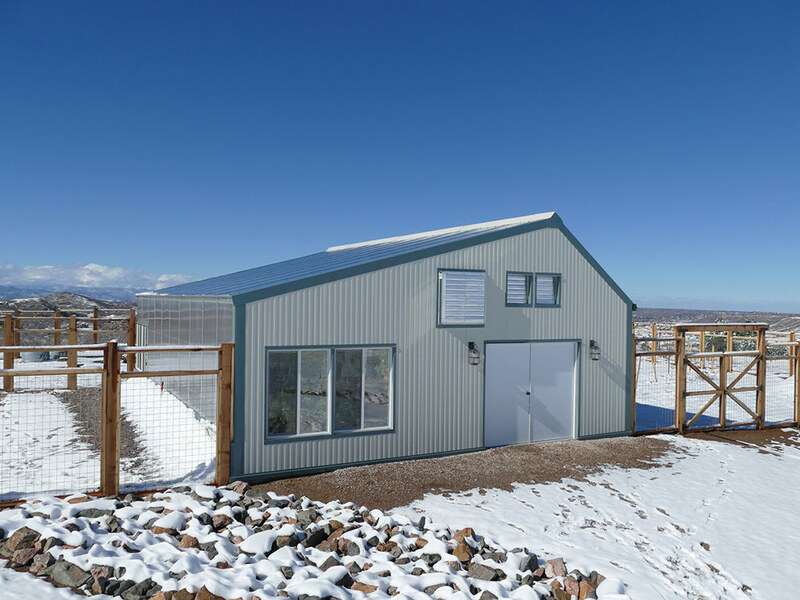 Plus, this kind of sustainable design also primes students for understanding larger issues about energy usage, climate change and renewable energy. Just as a gardening connects kids to plants and the natural world, a building’s design furthers understanding of our place in it. Where do we get the energy to heat our buildings, and what are the consequences? 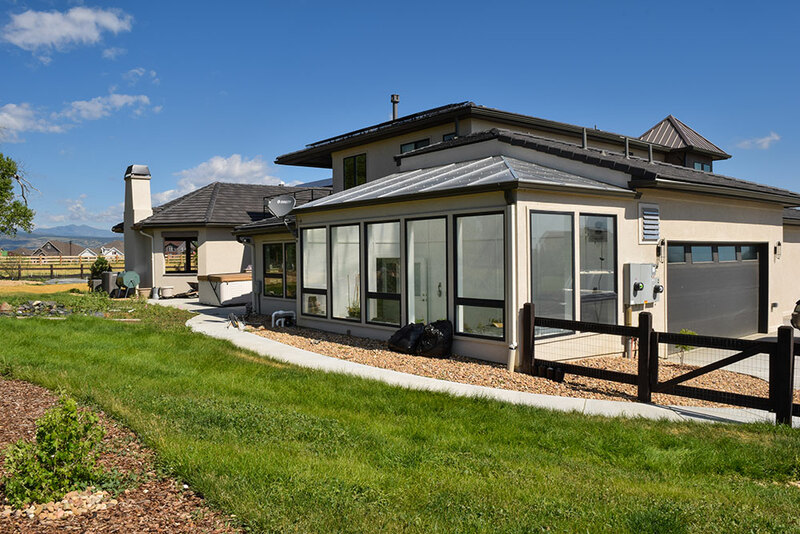 Energy-efficient design, whether in a greenhouse or other building, starts the conversation. 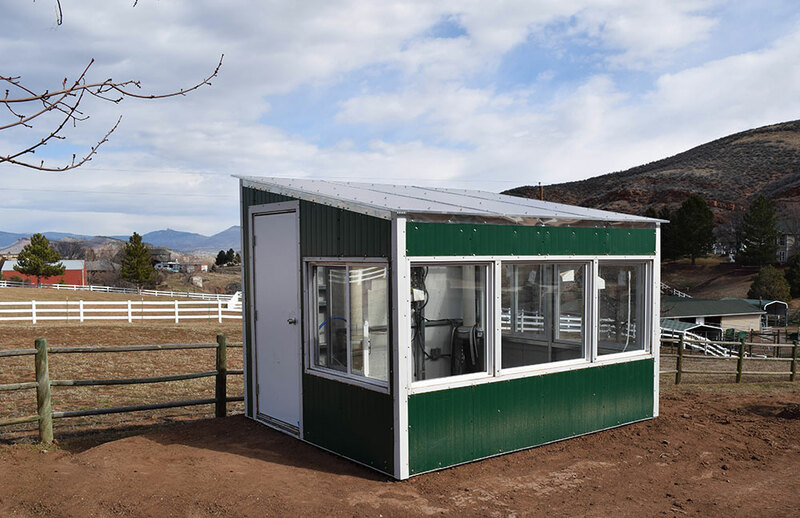 Even a simple detached greenhouse can open up a new array of learning opportunities. 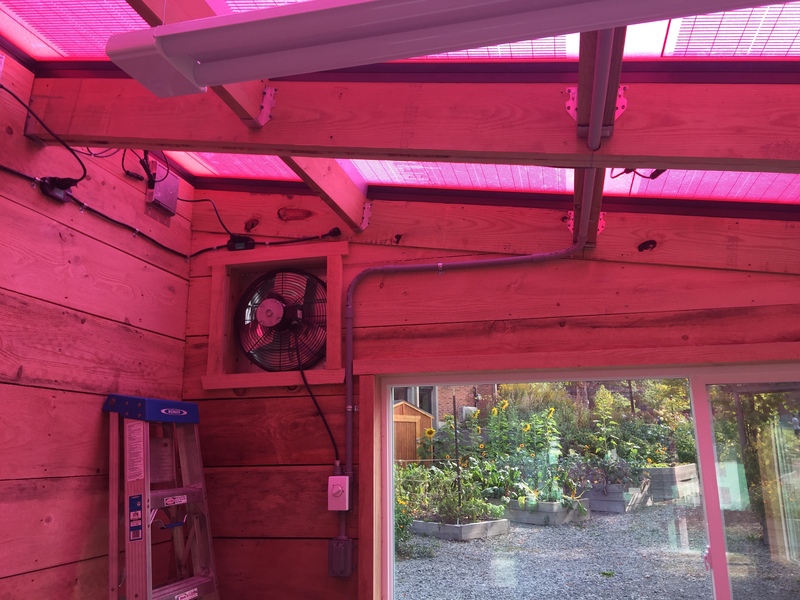 However, schools should realize greenhouses come with operating costs, mostly for heating and cooling. 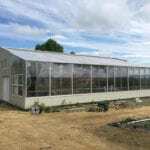 To minimize on-going costs, administrators should evaluate designs carefully: an energy-efficient solar greenhouse greatly reduces costs over the long-run compared to a standard polycarbonate or glass greenhouse that’s expensive to maintain. 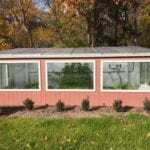 See Ceres educational greenhouse models for more info. 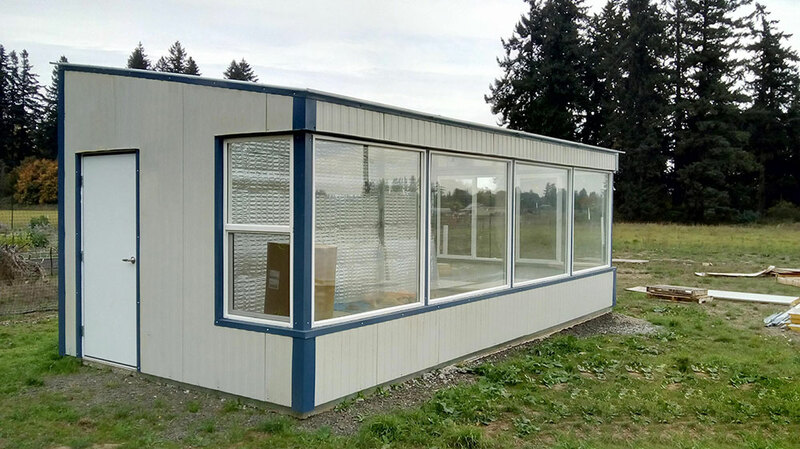 For some schools fundraising is the primary challenge; other schools simply lack the space or cannot cut through the red tape of their district to get the ok for a greenhouse. 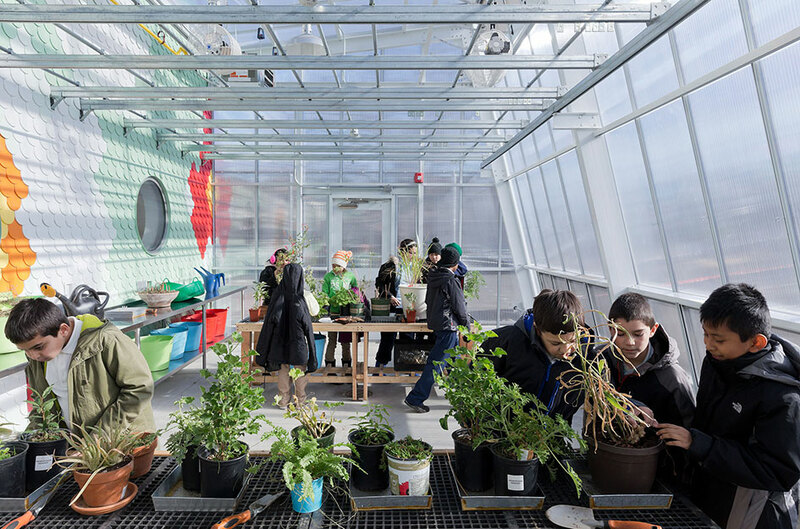 When a school greenhouse simply isn’t possible, a second trend is enabling students to still get the year-round gardening experience. 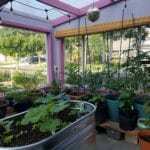 Aquaponic gardening is the practice of growing fish and plants symbiotically by using fish waste as a source of fertilizer for the plants. 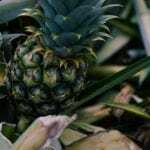 Like hydroponics, plants are grown without soil, often in a coconut coir or other soil-less medium in beds, making it easier and cleaner to garden in the classroom. The fish in an aquaponic system live in tanks below or beside the plant beds. Water circulates between the fish tanks and the plants carrying vital nutrients up to the plants, and filtered water back to the fish. Using fish as the fertilizer illuminates the relationship between plants and animals in the food chain. 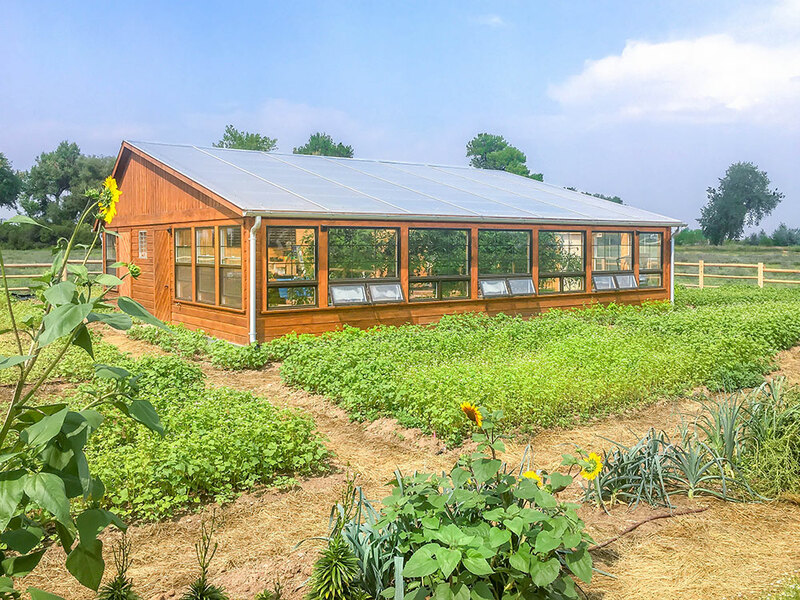 Students get to witness the natural cycle of nutrients as they course through nature, first as waste, then as vegetative growth, and finally as food for the final consumers – us. Having an aquatic environment in the classroom further opens up hands-on learning opportunities. The fishes’ environment needs to be carefully monitored. Things like pH, dissolved oxygen and nitrate levels need to be tracked and controlled. 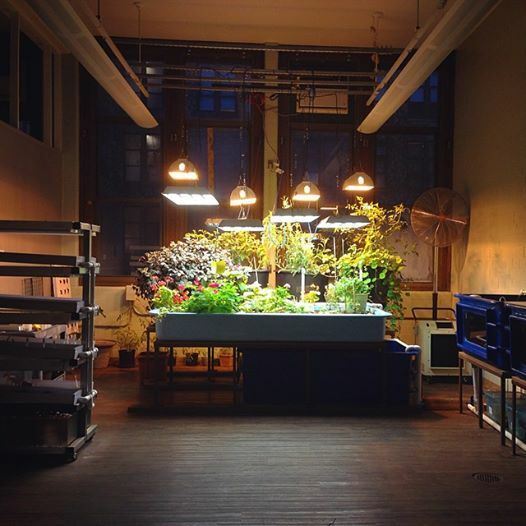 Aquaponics provides so much educational material that teachers at Chicago’s Lane Technical High School have dedicated an entire elective science course to it. 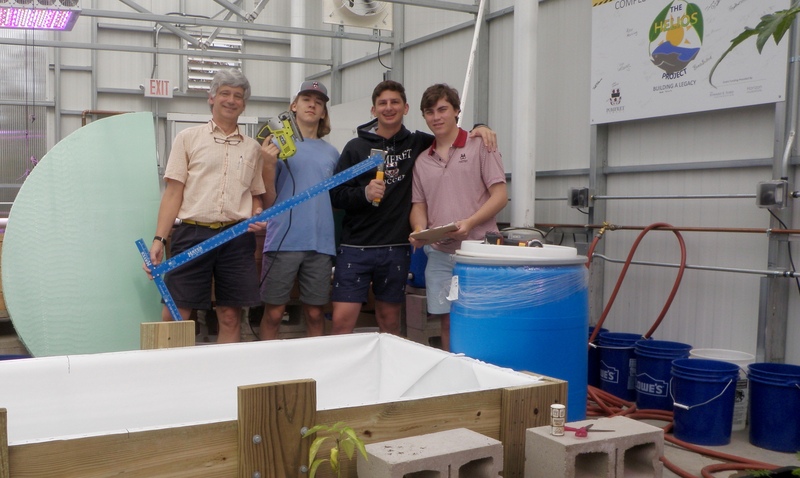 Offered as both an introductory course and independent study for second year students, the class uses six aquaponic systems to teach bioloagy, aquaculture, urban agriculture, sustainability, engineering, nutrition, math, and chemistry among other topics. 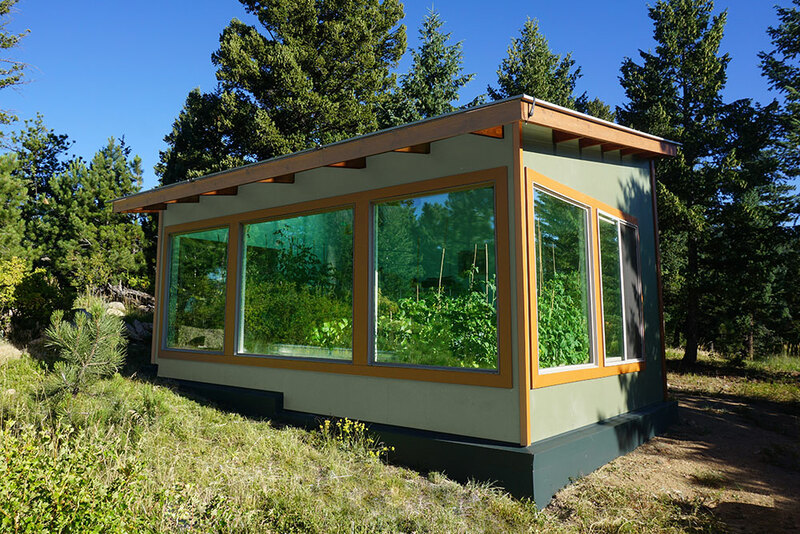 But moreover, aquaponics doesn’t just teach those topics, it makes them exciting. Fish seem to excite students in a way that plants alone do not. 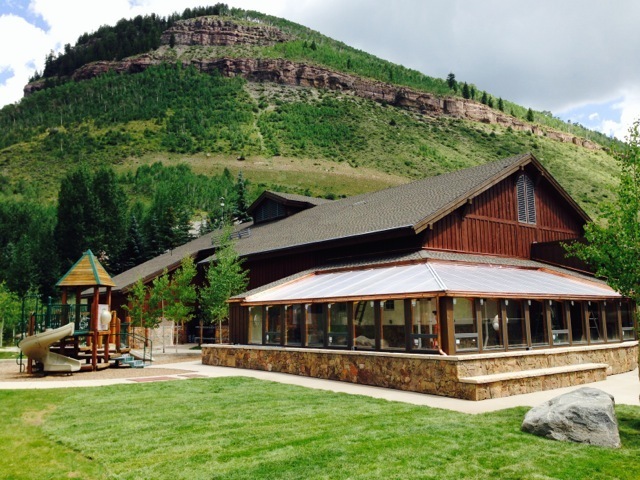 When asked what their favorite part of the VMS greenhouse was, screams of “Fish!” permeated the second grade class at Vail Mountain School. “I get asked about how the fish are doing about 7 times a day” says teacher Gabe Scherzer. 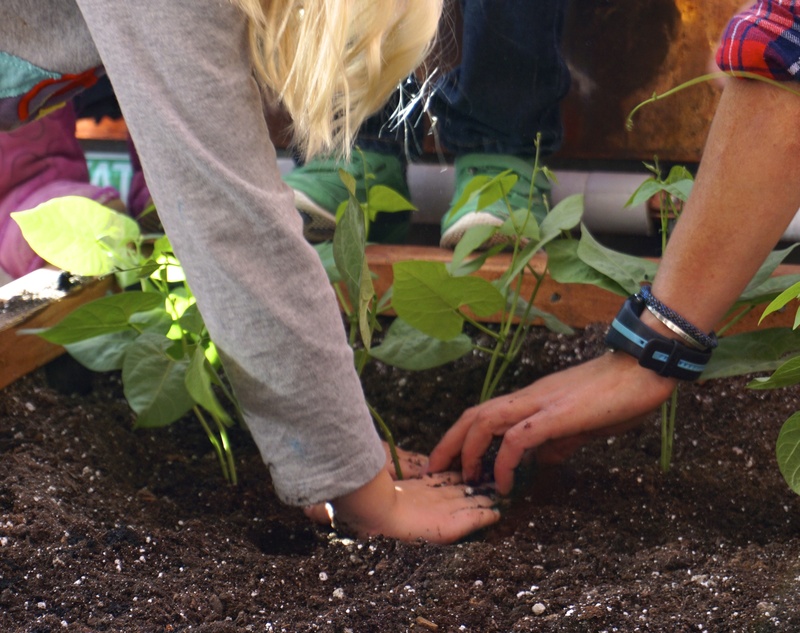 Outdoor learning gardens are an enormously important step to get kids involved in growing food. But, if we really want to reap the benefits of gardening – creating a healthier, more conscientious populace by starting with kids that eat better, learn better, and care more about nature – we need to step beyond the standard outdoor garden. 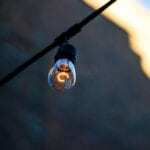 It’s limitations are too great, and the consequences too crucial to stick to the basic model. 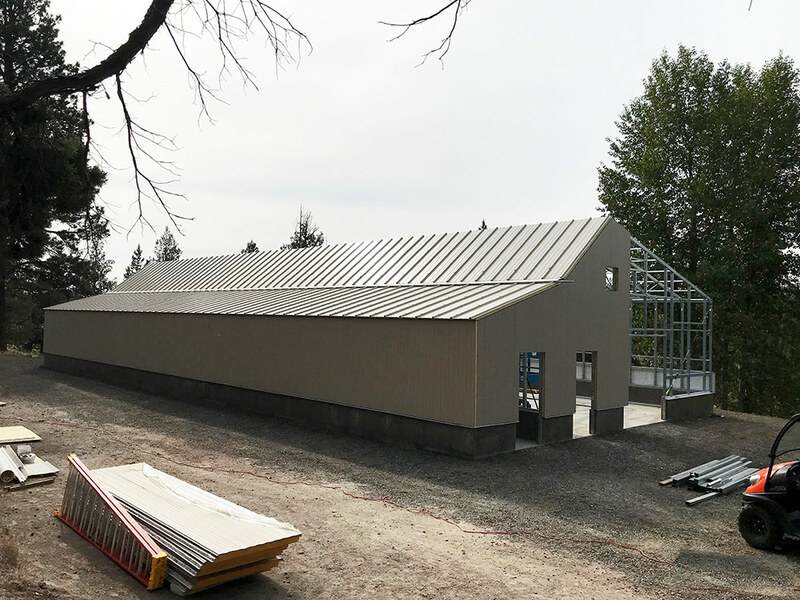 By expanding the education possibilities, sustainable greenhouses and aquaponic systems change what a school garden can be and do. 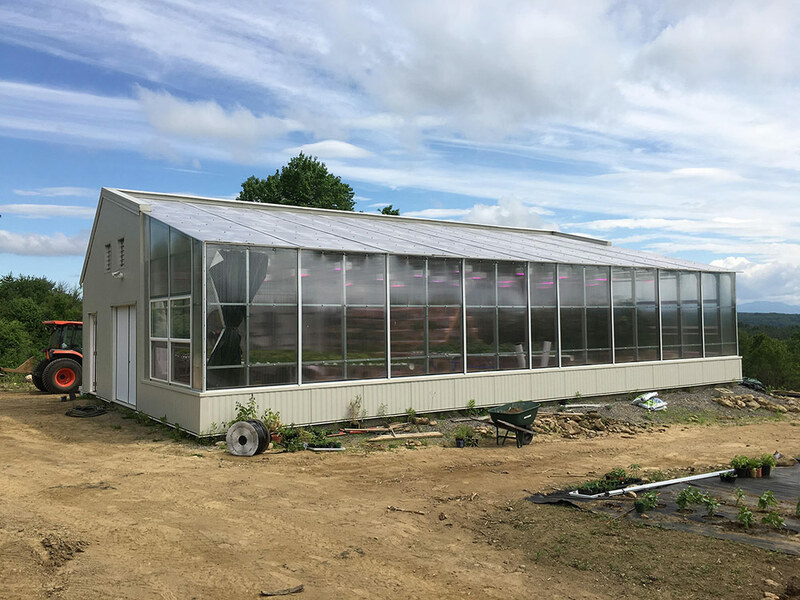 And thus, greenhouses and aquaponics can usher in a new generation of learning gardens — one that is fully integrated into our educational system, and an indispensable part of learning. 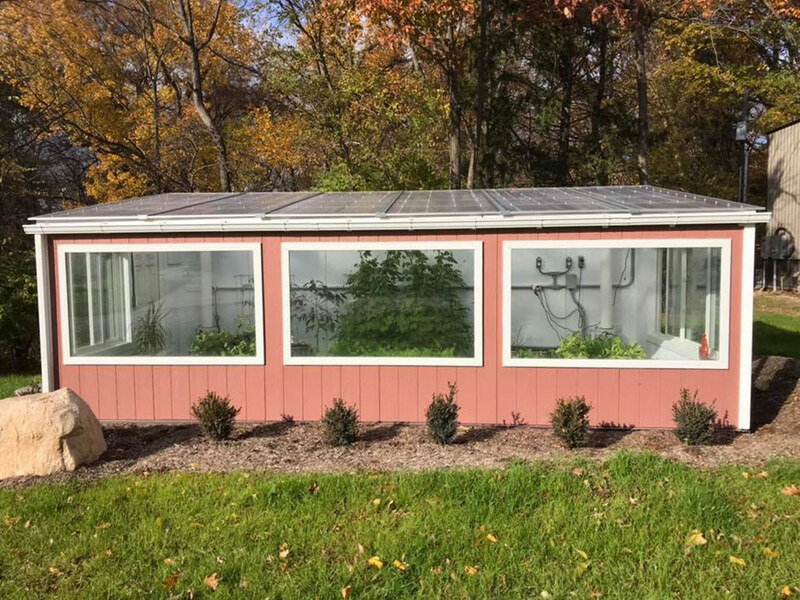 For questions about designing a year-round gardening classroom via a greenhouse or aquaponics system, get in touch with us at info@ceresgs.com.